So far I have managed to keep Hunter from feeding/carrying her brother (mostly) but I was feeling really out of the knitting loop so yesterday I passed the kids to Daddy and spent some solid Ravelry time. 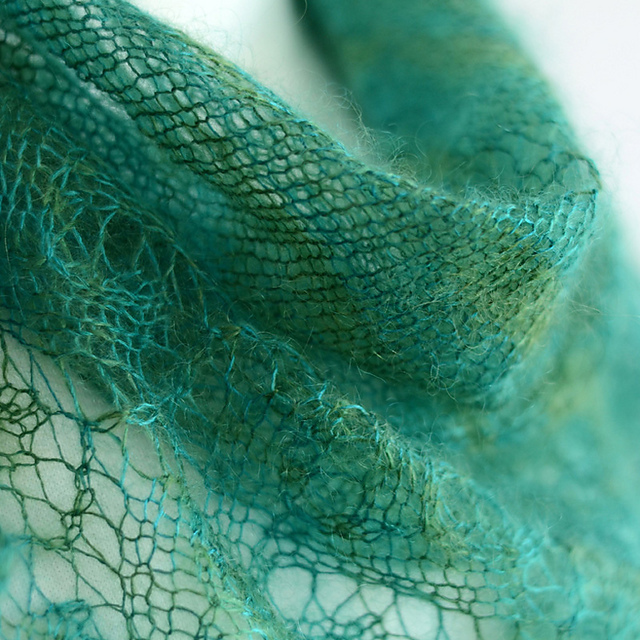 It’s not that I NEED a new project with new yarn to match, it’s just that I was looking for an excuse….What should I come across but the latest pattern from Felicia of SweetGeorgia, Twig Shawl! It’s just what I needed, something fussy to work on in the evening or during nap time! I love how rustic meets delicate in this lacy shawl. 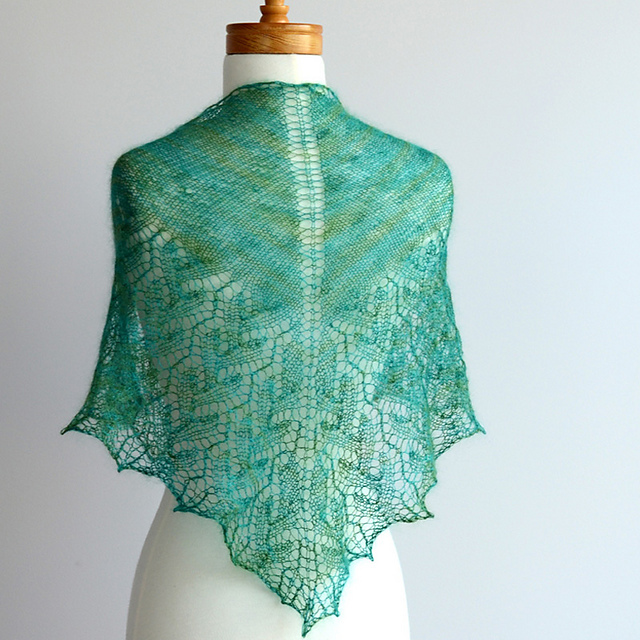 The twig pattern is earthy while the fine yarn and open work is sophisticated and pretty. I love a good shawl and one skein of Merino Silk Lace will make a big one or two smaller scarf-sized shawls. This entry was posted on Thursday, August 30th, 2012 at 10:50 pm	and is filed under Uncategorized. You can follow any responses to this entry through the RSS 2.0 feed. Both comments and pings are currently closed.